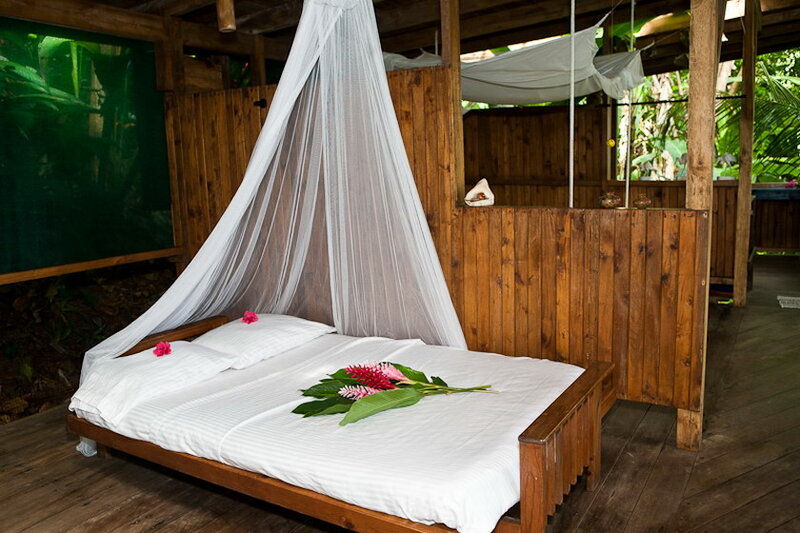 Imagine for a moment waking up to the sound of crashing tropical ocean waters, lying in a secluded, open-air treehouse cabina perched in a tropical rainforest canopy. The only thing on your “To-Do” list for the day? Photographing the natural world that surrounds you. This could be you, if you choose to join Backcountry Journeys on the delightfully awe inspiring Wildlife of Costa Rica Tour, as we lodge for four out of the six night tour at the Lookout Inn Lodge, nestled in the Osa Peninsula rainforest, perched on a jungle hill at the end of an unpaved road overlooking the black sand beaches of the Pacific Ocean below. With coastlines on the Caribbean and Pacific Oceans, Costa Rica has become known for its beaches and volcanoes. In addition to its coastal borders, Costa Rica is sandwiched between Nicaragua to the North, Panama to the southeast, and Ecuador to the south of Cocos Island. Roughly a quarter of its area is made up of jungle that is replete with wildlife. As one might imagine with all of that going on, Costa has long been a destination as one of the most exotic and unique locales on the planet. 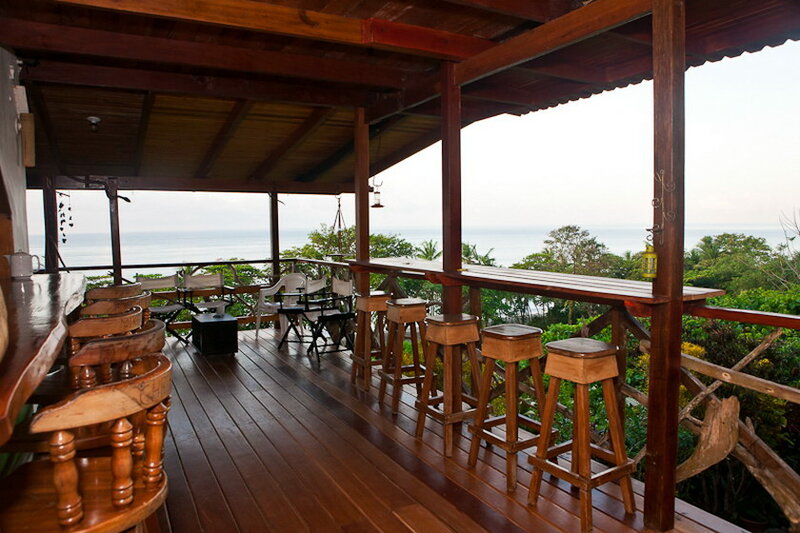 And there just may not be a better place to photograph than the Osa Peninsula, and the Lookout Inn is the ideal jumping-off point! Perhaps you’re due a visit? 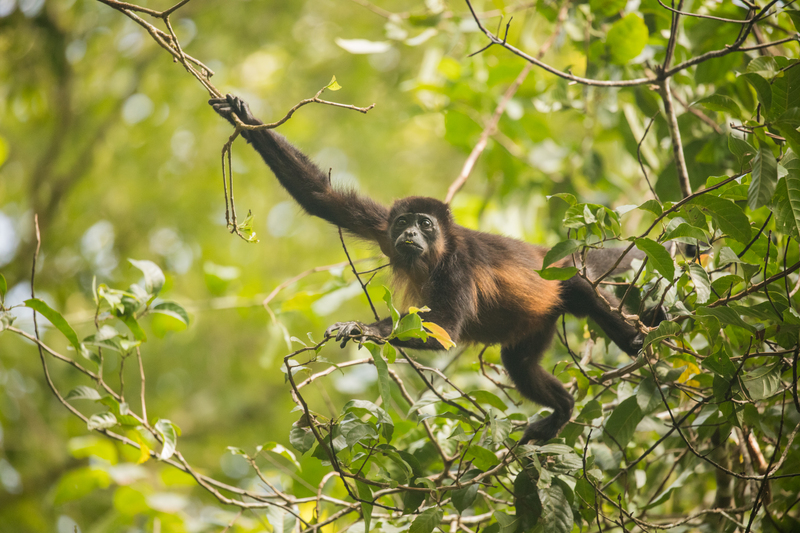 While on the Wildlife of Costa Rica Tour, you’ll likely see -and hopefully photograph – a variety of jungle critters from monkeys to coatis, sloths to dart frogs and ocelots. The country is also home to rare birds like toucans, scarlet macaws and the resplendent quetzal, known for its colorful plumage. Here we will find the Lookout Inn Lodge. The Lookout Inn Lodge is an “eco lodge,” and is 100% solar-powered. While there is plenty of electricity for lights, fans and 110-volt outlets, even 24/7 WiFi access, the Lodge does not have things like T.V., air conditioning or in-room ice machines. The showers utilize tropical water. It’ll more than likely be difficult at times to pull yourself away – for the purposes of creating photographic images – from the freshwater pool located next to lush tropical gardens mixed with orchids, exotic flowers, banana and fruit trees, jungle growth, almond and giant ajo trees filled with Iguanas and a seemingly endless number of Scarlet Macaws. Did someone mention gardens? The Lodge grows fruits, vegetables and herbs that are subsequently used in your freshly prepared meals. And get this, the Inn actually smokes fresh locally produced cheese, as well as pork and fish procured from local farmers! We’ve said it before. 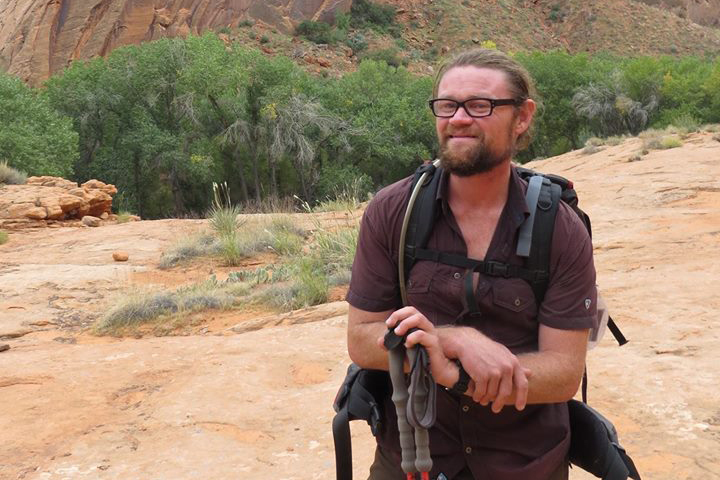 Food is an essential part of Backcountry Journeys tours. We feel very strongly that you’ll be gushing about the food once back home after this tour. In addition to your secluded, private rooms, there is plenty of public space at the lodge to enjoy and take advantage of as well. 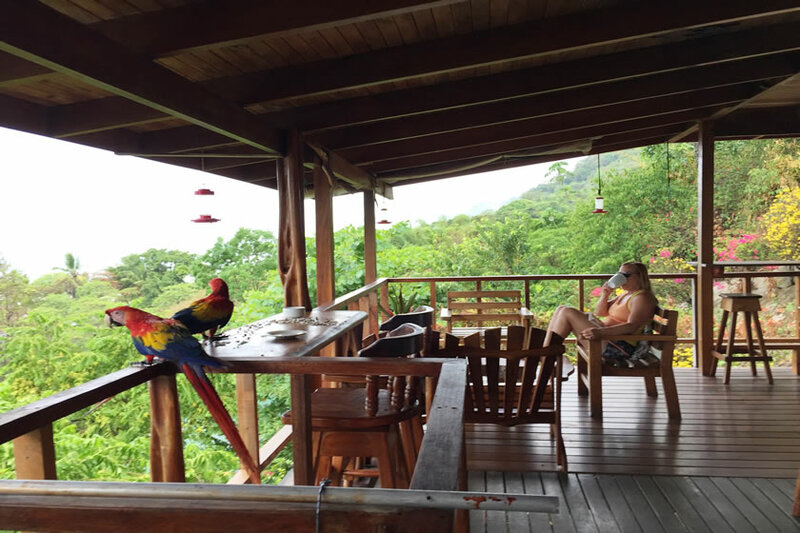 The Lodge’s second floor features a large covered deck with a kitchen, lounge room with stereo and a large library specializing in Costa Rica’s natural history. Move upstairs on an artistically crafted spiral staircase to an open-air observation deck where a high-powered telescope offers an extended view of the Osa’s breathtaking vista. The Observation deck also provides under-roof seating for dining, as well as an area open to the sun. There simply is no experience comparable to photographing the strange and beautiful creatures found in the jungles of Costa Rica. 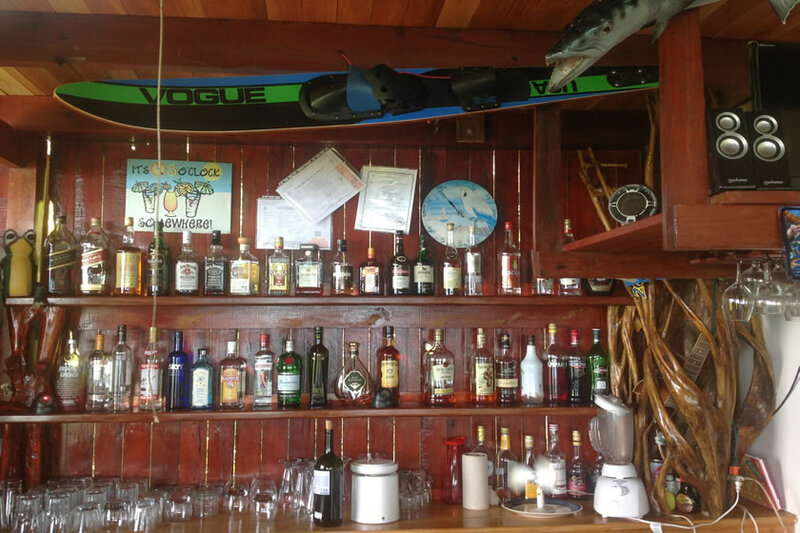 The Lookout Inn Lodge will afford us the most pleasurable experience to do so all while spending some time kicking back in a hammock and enjoying the tropical breeze while we’re there. Let this journey, and the Lookout Inn Lodge, leave an indelible mark on your memories… and on your portfolio.